After graduating university with a Marketing degree, Andrew first made his way into the world of websites and online marketing by building a few websites himself. But after going live he soon realised that visitors and customers don’t just appear immediately or by chance, so he began a journey to find out what it takes to make a website bring in business. 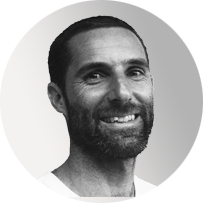 Andrew now splits his time between helping the clients of High Profile Enterprises and running his surf school in Raglan. His experience running his own business means he understands what clients are looking for when they come to High Profile Enterprises for help, and also what they need to do with their online efforts if they want to succeed at getting found, and then converting visitors into customers. His main duties include publishing and promoting blog posts for clients as well as auditing the websites of new clients to identify areas that can be improved for better results. He also enjoys writing content when called upon, and the many other interesting jobs that Mike and Midge get him involved in! When he can get away from the keyboard you’ll find him attached to a surfboard in the wild west coast waves! That is when he isn’t enjoying Whanau time with his wife and young daughters, or wandering off for a quick coffee.